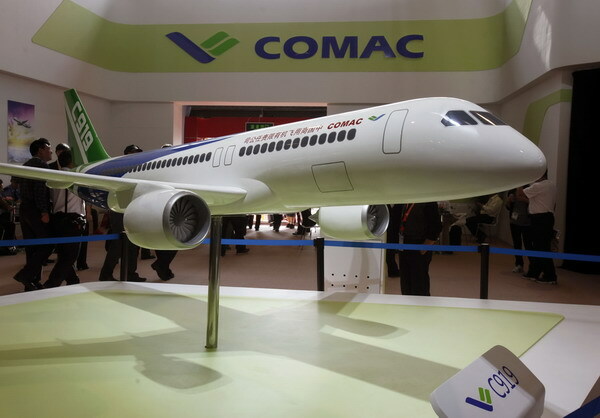 Orders for China's large C919 passenger jet reached 785, after ICBC Leasing signed a new deal to buy 55 of the jets, the Commercial Aircraft Corporation of China (COMAC), the Shanghai-based C919 manufacturer, said Tuesday. This makes ICBC Leasing the largest purchaser of C919 planes, with a total order of 100 aircraft. ICBC Leasing has become COMAC's biggest client for domestic aircraft, as it also signed a deal for 30 of the nation's first domestically produced ARJ21-700 regional jets in March 2015. With a standard range of 4,075 kilometers, the C919 jet is comparable to the updated Airbus 320 and Boeing's new generation 737 planes. It completed its maiden flight in May in Shanghai, and made its first intercity flight, from Shanghai to Xi'an, in mid-November. ICBC Leasing, a wholly owned subsidiary of Industrial and Commercial Bank of China, operates and manages over 500 planes for about 70 airline companies globally.